This high quality replica is handcrafted from mahogany and comes with a wooden base. 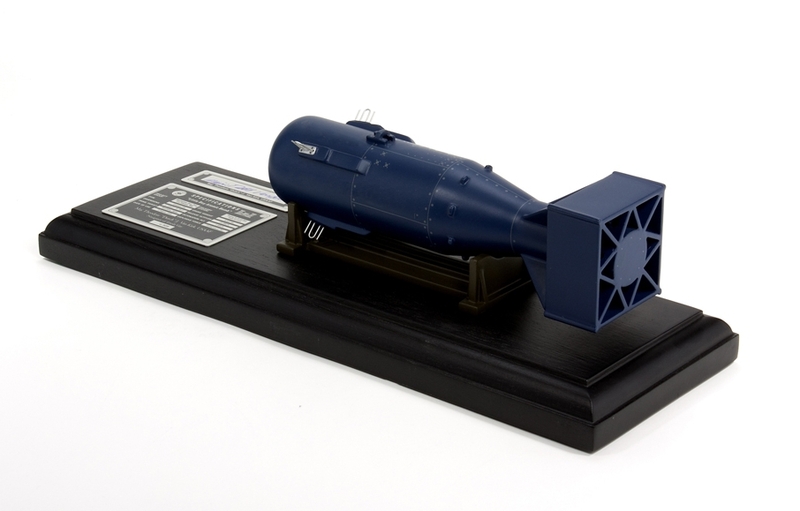 This model comes signed by Major Theodore "Dutch" J. Van Kirk, Navigator on Enola Gay. Model Length: 10" W/S: 2 3/4"
Base Length: 16 1/2" Width: 6"
This high quality replica is handcrafted from mahogany and comes with a wooden base. Model dimensions are 10"(L) X 2.75" (Wingspan). Theodore "Dutch" Van Kirk (b.1921) Navigator for the Enola Gay, was an American U.S. Army Air Corps navigator who flew 58 B-17 Flying Fortress combat missions with the 97th Bomb Group over occupied France and Germany during WW II. He was selected to fly General Mark Clark on a secret mission to negotiate with the Free French in Algeria, and was navigator on the aircraft that flew General Dwight Eisenhower to the invasion site in North Africa to launch Operation Torch. In 1945 he navigated the Enola Gay B29 Super Fortress when it dropped the first atomic bomb on Hiroshima. In August 1946 he completed his service in the Air Corps as a major. His decorations include the Silver Star, the Distinguished Flying Cross and 15 Air Medals. This Little Boy Atomic Bomb Replica is a 1/12 scale model and is approximately 10 inches long; the hand crafted mahogany base is 16 1/2 inches long. 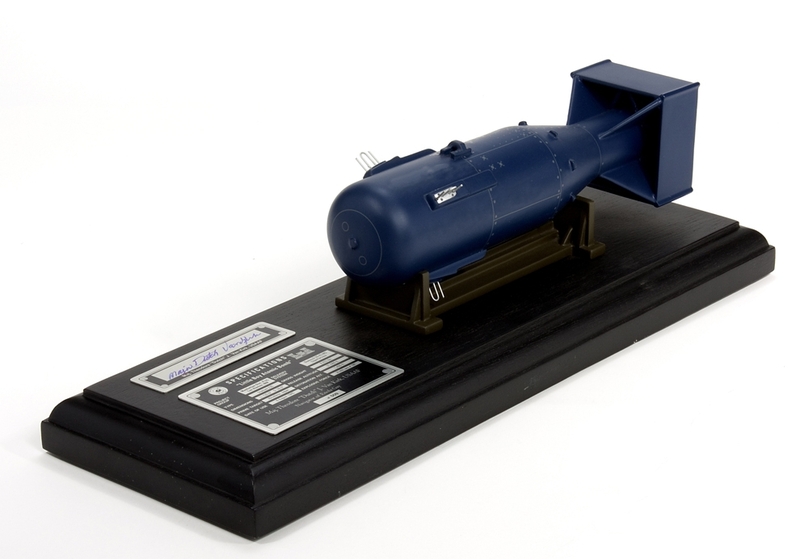 The bomb replica itself is steel blue in color and is built to exacting detail from original drawings. A metal data plate provides key statistics about the Little Boy bomb. 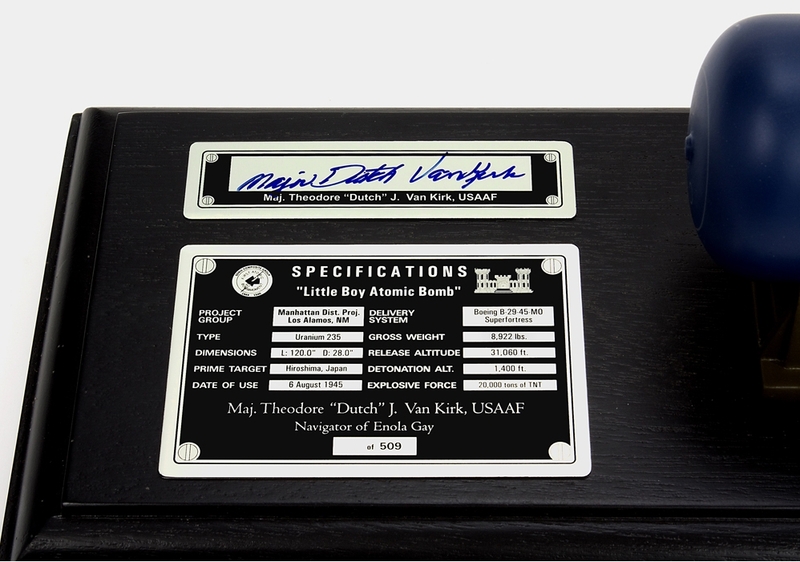 Model is personally signed by Navigator Dutch Van Kirk.